I really like looking at the presentation factors that different company's use when creating their lookbooks for a given season. The lookbook is essentially a commercial in that it is allowing the brand to control all the elements of the photo's to show how they want their product to be seen/worn for that given season. That being said - I love it when brands use different creative tools to show their imagery. 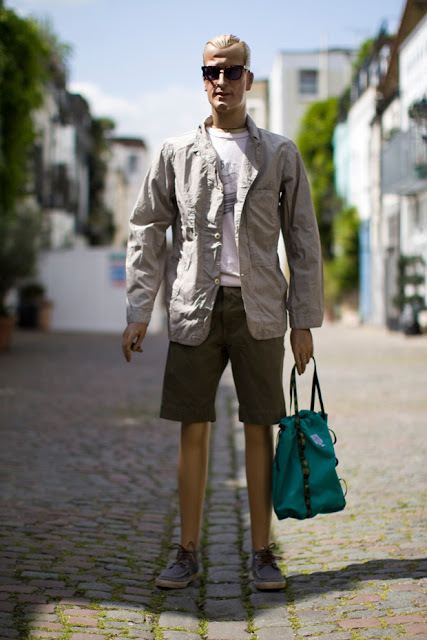 Garbstore used some Ken-like mannequins to model their latest offering - which comes off with a modern American/J.Crew type feel. Check out more images from the lookbook here.